The holiday we all know and love is coming about,m and the festive season is blooming. 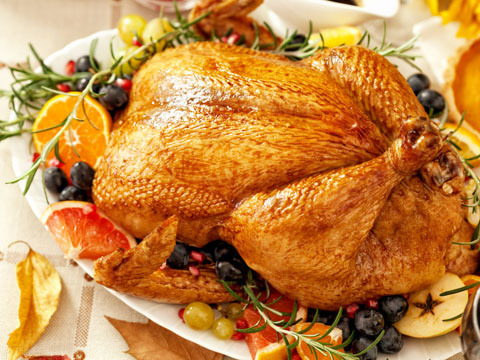 If you’re a feverish Thanksgiving fan (even if you don’t even celebrate), here are some interesting facts about the history of Thanksgiving foods that you may or may not know. We all know the modern staples of a Thanksgiving dinner: cranberry sauce, roast turkey, stuffing and more. But would it surprise you to know that none of these were present at the first Thanksgiving feast? Instead of wild turkey, it was likely that the settlers ate roast duck or goose. Additionally, seafood, including lobster, clams, and mussels, made an appearance at the meal in the New England colony. The forest provided chestnuts and walnuts, and crops provided squash, carrots, and peas for sides. Though corn is one of the most iconic Thanksgiving foods, it’s unlikely that settlers had corn on the cob this time of year — the only corn present at the first Thanksgiving was dried. So, how did we get to eating turkey and mashed potatoes? Well, the turkey was added to the annual celebration, and later popularized. Indigenous people boiled cranberries with sugar and used it to pair with the turkey. This sauce can be found in a cookbook from 1796. Sweet potatoes with marshmallows originated in France and then was adopted by Americans in attempt to add sweet potatoes to their meal. Pumpkin pie wasn’t found on tables until the 1800s. While a nutty, herby stuffing could possibly be found at the first Thanksgiving, it wasn’t until 1792 when the modern stuffing was a hit. Green bean casserole, a hot dish, wasn’t popularized until 1955 – less than 63 years ago. While Thanksgiving food has changed, and been altered over time, it’s not what the holiday is actually about. Thanksgiving is a time to be thankful and gracious for what we have.